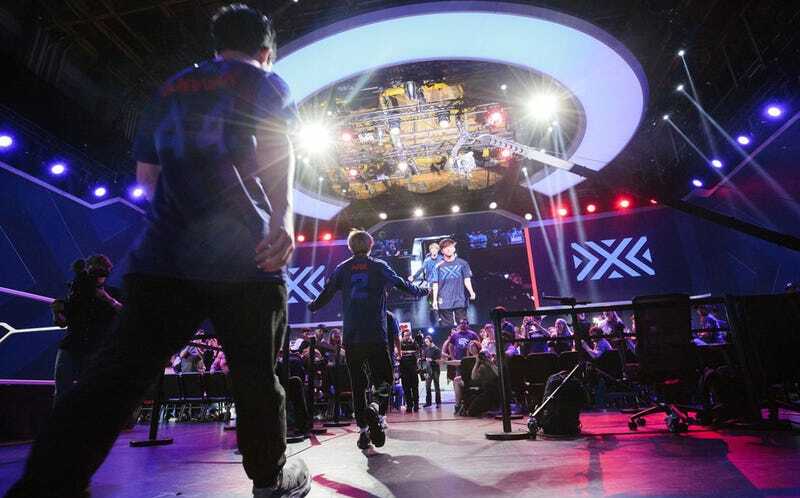 New York Excelsior’s first season in the Overwatch League ended with more questions than answers, most of them boiling down to some variation on “What happened?” The answer to that question depends on who you talk to. Two members chalk it up to the choppy waters of a shifting meta, but to hear another tell it, sandbagging played a role, too. For most of Overwatch League’s first season, it seemed like the playoffs and finals would just be a formality. The newly-christened OWL throne already had its heirs apparent: New York Excelsior, aka NYXL. The team dominated nearly every match they played during season one’s first three stages. But when it came time to seal the deal, NYXL fell apart. As the close losses (and less-close losses) started to pile up during stage four and the playoffs, everyone was taken by surprise—even Blizzard, it seemed, who rented out New York’s Barclays Center for the finals, only for NYXL to get bounced from the playoffs by perennial underdog Philadelphia Fusion. NYXL still ended the season with the best record in the league—34-6, 10 games better than both teams competing in the finals—but faltered when it mattered most. Speaking to Kotaku at an Overwatch League season two preview event in Los Angeles last week, NYXL players chalked the sudden downturn up to an unfavorable meta. For most of the season, teams relied on fast, aggressive “dive” compositions, which involved coordinated, high-damage plays and targeted healing. This turned players like Zenyatta maestro Sung-hyeon “JJonak” Bang and Widowmaker genius Do-hyeon “Pine” Kim into stars. But then, toward the end of the season, a double-sniper meta centering around Widowmaker and Hanzo took over, leaving NYXL’s tactics looking antiquated. When I asked JJonak and Saebyeolbe if NYXL had purposefully stopped giving it their all to recover from a season of multiple games per week and brutal practice schedules, JJonak offered only a brief response. “It just wasn’t a good meta for us,” he said. However, on a recent episode of the OverSight talk show, NYXL support player Yeon-joon “Ark” Hong offered a slightly different explanation, mentioning both the meta and sandbagging. He justified the sandbagging by saying that when teams are in the lead, it makes sense to scrim with other teams less and focus on gathering information instead of giving it away. This season, NYXL will do their best to live up to the volcano of potential that seemed prime to blow its top last season. Since the end of season one, Overwatch’s meta has undergone multiple shifts, mostly involving an HP-heavy tank-and-healer-based composition known as GOATS. The meta isn’t exactly beloved—JJonak and Saebyeolbe said GOATS is too similar from match to match, and they miss the days of high-flying, highlight-reel DPS plays—but NYXL is ready for it. Will their secret strategy involve Zenyatta? “Yes,” said JJonak with a smirk.